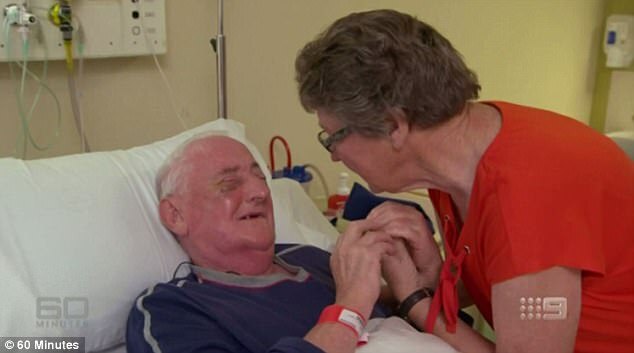 A 72 year old blind man who damaged his right eye in a childhood accident, and gradually lost vision in the other eye because of herpes simplex virus, has been able to see his wife for the first time after he had a groundbreaking surgery that required one of his own tooth be inserted into his eye. 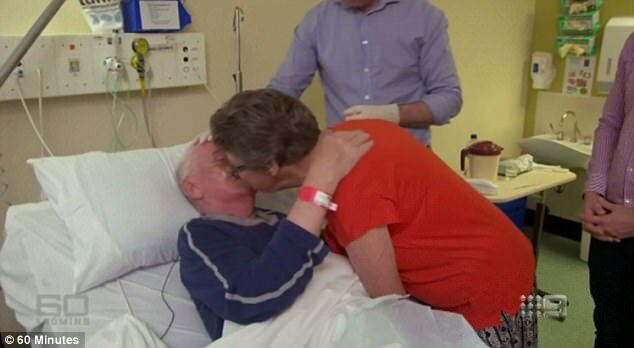 Goulburn man John Ings, 72, described his vision as 'a dirty window' before the surgery to 60 Minutes on Sunday evening. And said he was looking forward to seeing his wife, Berry to see if she still looks as beautiful as ever. With the help of oral and maxillofacial specialist, Dr Shannon Webber and oculoplastic surgeon, Dr Greg Moloney, had the surgery which took place in four parts. into his cheek so tissue would grow around it, enabling its own blood supply. 'We rely on the tooth to gain its own blood and tissue supply so when it is removed from the mouth, what you have essentially is a living complex,' Dr Webber told The Courier Mail. 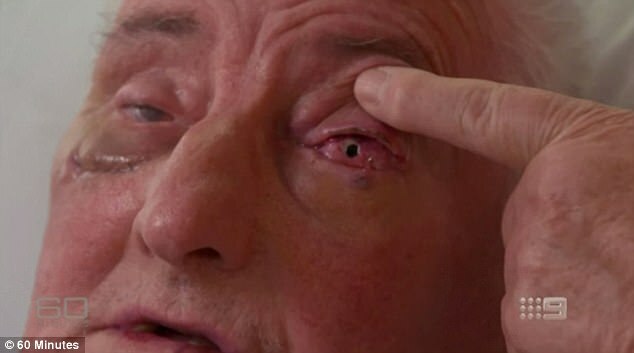 After three months surgeons removed the tooth and inserted it into Mr Ings' old cornea. 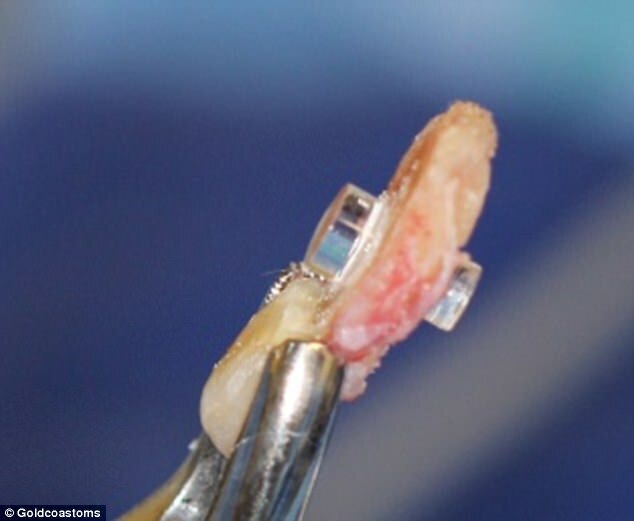 Skin was then removed from his mouth and placed over the new cornea to seal it. An opening was made to allow the new lens to work. 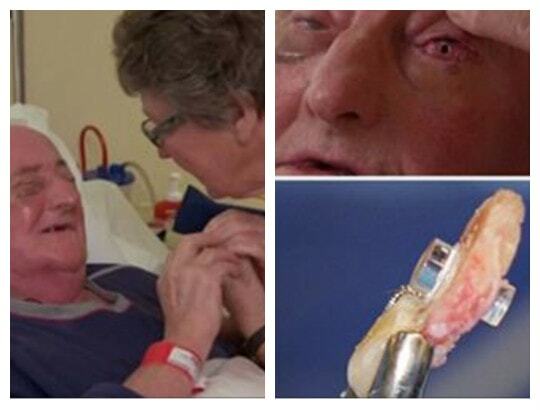 It was the first time the surgery, called osteo-odonto kerato-prosthesis, has been performed in Australia. Days after the final procedure, Mr Ings' his bandages were opened to test his vision. 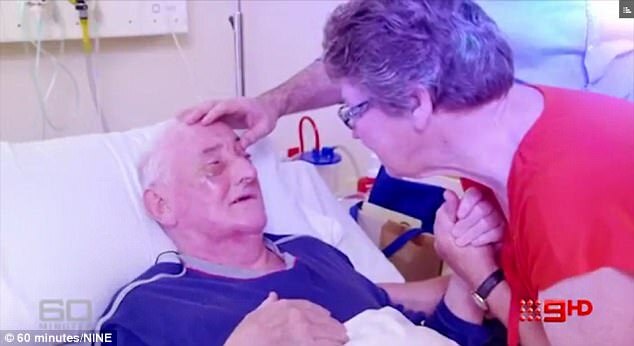 A heartwarming footage filmed by 60 Minutes shows Mr Ings look at his wife for the first time in a very long time as the pair burst into sobs with happiness. DailyMail reports that since Mr Ings' surgery, a 50-year-old Cairns woman, Leonie Garrett, has also had the procedure and now boasts 20/20 vision. 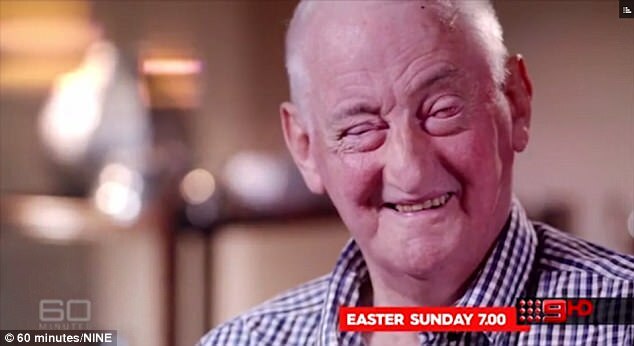 Mr Ings hailed the procedure a success, and warned 60 Minutes it was easy to take eyesight for granted.